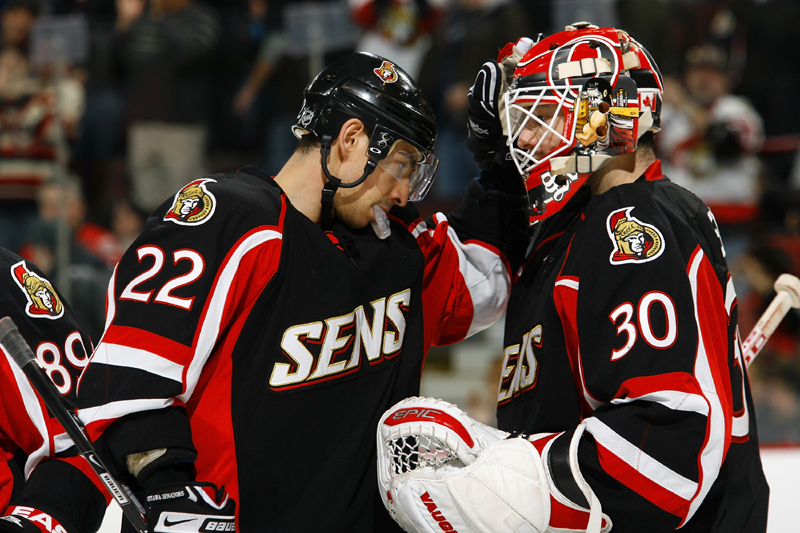 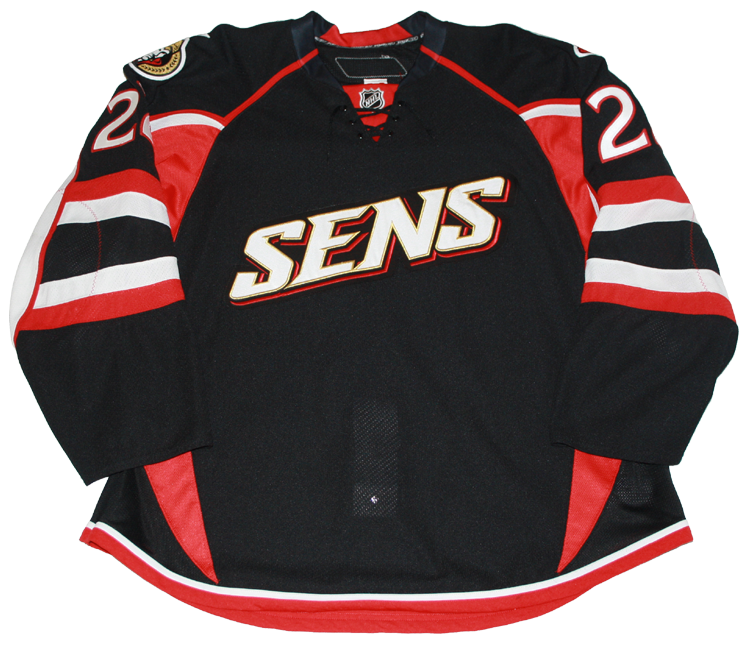 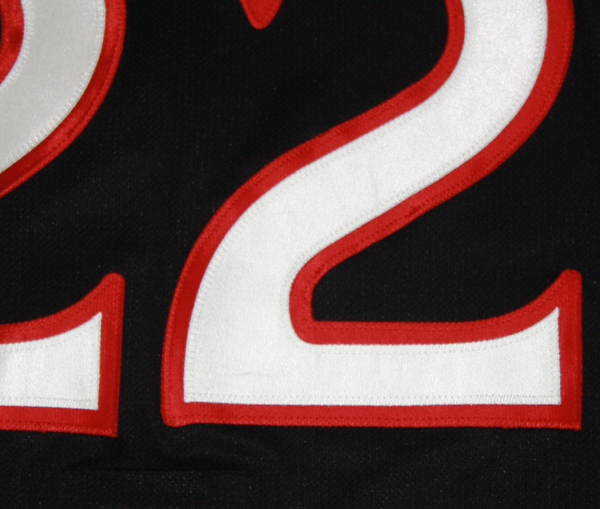 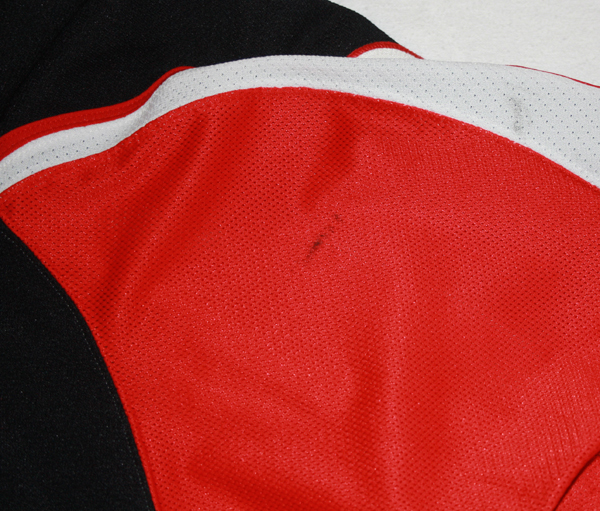 This jersey was worn by Chris Kelly of the Ottawa Senators during the 2008-09 season. 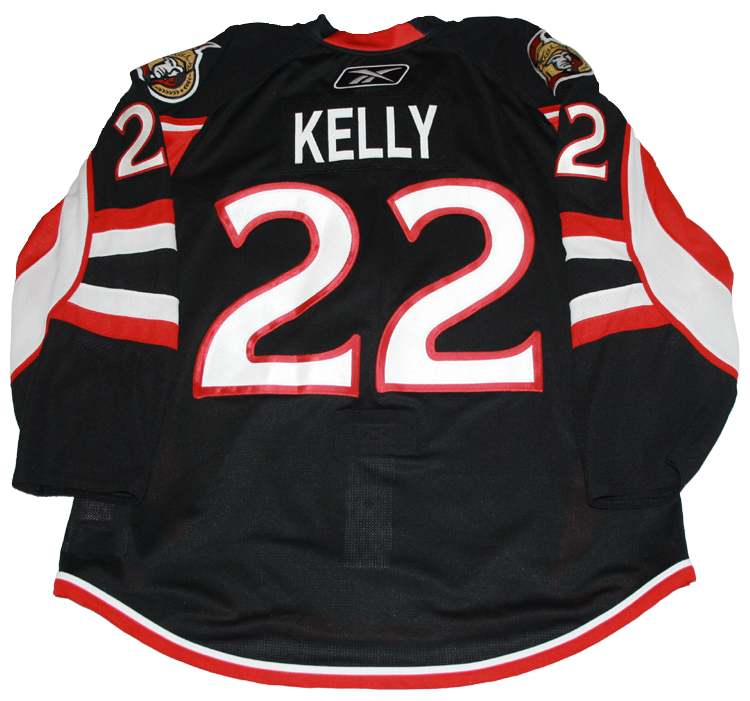 Kelly wore this jersey for 6 games between February 19 and March 11, 2009. 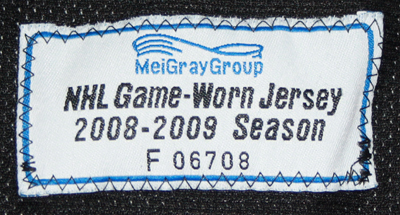 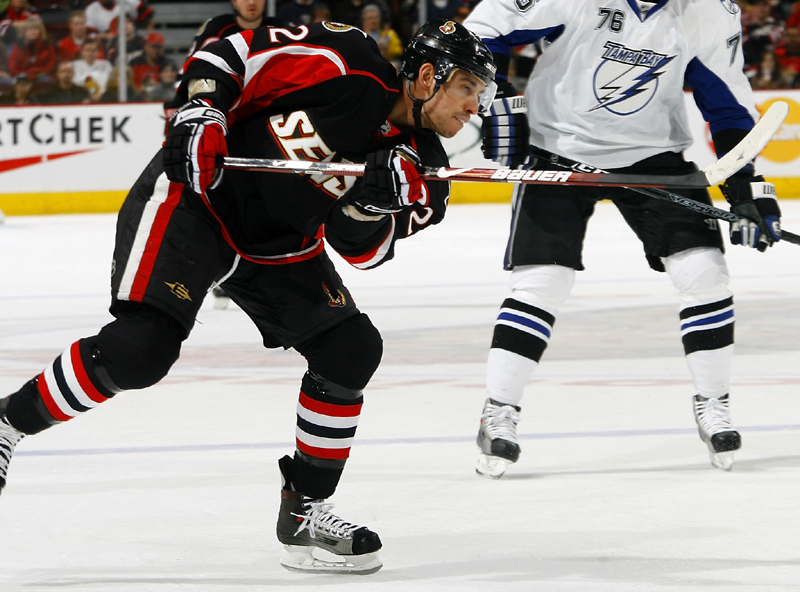 The 2008-09 season was the first year that this style of jersey was worn.